HomeStuffsThe Best and Recommended Haikyuu!! Merchandise on Amazon	No ratings yet. Height may be the most important thing on volleyball. But it won’t discourage the main protagonist Hinata Shouyo to become the best volleyball player ever. Despite he has short body and almost zero experience in volleyball, he never give up and tried so hard to achieving his dream. That’s all about Haikyuu!! Yes, both manga and anime gain so much popularity because of its story and character development. Haikyuu!! considered to become one of the best sport manga and anime among audiences. As a fan, you’re not going to stop just by watching anime on blu-ray or reading manga alone, right? That’s why we also give you a recommendation which Haikyuu!! 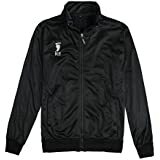 merchandise on Amazon that would be the best for you! Sold by Genki Anime, it’s 100% officially licensed product with approximately 4 cm (1,5 inch) tall. 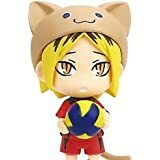 Beside Kozune Kenma, you can also order another character mascot including Hinata Shouyo, Kageyama Tobio, Aone Takanobu and Oikara Tohru. This product is also cute! 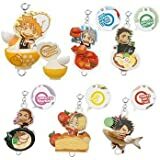 But please not that they are small just like small keychain general. But we’re sure you won’t be disappointed especially for Haikyuu!! fans! The poster featuring main visual of the series, it is high quality scroll poster which all pictures are shooted by practicality goods. The size itself is 23,6*35,4 inches, or equal to 60*90 cm. Despite the colors aren’t as bright as in the picture, the whole poster, quality of the fabrics and image are really awesome. Please keep in mind that the drawing isn’t going to be so perfect, since wall scrolls are made from fabric. But the fabric itself is durable which is wonderful. The graphic isn’t specifically high definition quality, mainly around the characters on the sides, but this isn’t a huge problem since you won’t notice it if it’s far away from you. Overall this scroll is still recommended for you and the price is also wonderful. Sold by F&C, this jacket would be a great for both cosplayer and fans. We mean, this jacket not only for cosplay, but you can wear it every time you want to. It’s available for different sizes including S, M, L, and XL. Besides for cosplay and daily use, this jacket can definitely be used for workouts, especially when you decide to play volleyball. For cosplayers, we believe that take only this jacket would be enough for you. This jacket will also be great for Spring weather and cold Summer night. It’s very durable and very comfortable to wear. The material feels silky and soft. So, this jacket is recommended for you who really love Haikyuu!! so much and it is one of the best Haikyuu!! products on internet. 6. Kuroo on Saury of Grilled. It’s very easy to make it into a normal keychain just by hanging a cell phone strap. Overall, they are extremely cute and you will absolutely love it. 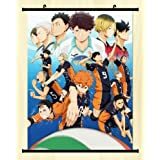 It’s perfect as a gift for anime lovers, especially if they are a huge fan of Haikyuu!! series. Imported by Orange Rouge and from the hit anime and manga series, this Tsukishima Kei nendoroid includes three facial expression including a normal, a serious and a condescending smirk face. He additionally comes with several optional parts that let you recreate well-known scenes from the series, and a volleyball as well as base made in the image of a volleyball court. His sports glasses and headphones are also bundled as additional parts. Besides he comes with 3 face plates, he also includes one volleyball, 2 sets of legs, 2 sets of glasses, one pair of headphones, and 3 sets of arms. 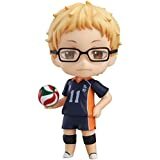 So, you can display the genius “Tsukki” action figure on your shelf with different pose and different scenes to create atmosphere just like in the series.